Indian Retail has come of age and has emerged as one of the fastest growing sectors in India. It is expected to grow at a Compound Annual Growth Rate (CAGR) of 10 per cent from $641 billion in 2016 to $1.6 trillion by 2026. There has been a remarkable change in terms of the lifestyle preferences and buying trends among Indian consumers over the last two decades. The consumer today is spoilt for choice owing to availability of multiple brands, attractive value propositions and access to e-stores round the clock.With an informed and discerning consumer at the forefront, brands cannot afford to forego the need to build long-term and sustained loyalty and engagement. While retailers are constantly involved in introducing new trends, industry leaders are also looking at customer engagement programs, which is the biggest influencer in the retail and e-commerce segment. 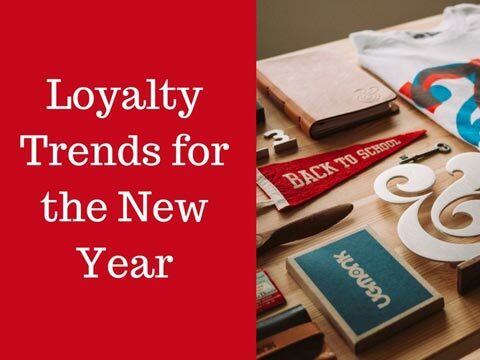 To better understand how the industry is growing at such a velocity, let’s have a look at the trends in retail and loyalty e-commerce sector, which will define what 2018 is going to bring to the customer watch list. 1. Omni-Channel Experience: Customers, today, want a hassle-free shopping experience and easy access to all things they wish to buy; which is basically that it should be under one platform. Today, digitization has made the omni-channel experience a seamless process, where a customer can browse and find all products in the same place. Screens/devices rule the loyalty space, especially as the access to internet has become increasingly integrated. Consequently, UI experiences and seamless visual platforms providedto the shopper will witness a marked change in customer interaction and communication. Omni-channel changes the way we deal with a shopper, this route will give brands and e-retailers a chance to pursue a certain trend or season. Furthermore, it will help enhance customer approach behaviour and build loyalty among the brand, the store, and the customer. 2. Big Data/Artificial Intelligence and Chatbots - Data analytics is slowly changing the dynamics of the retail industry. It is leading to more targeted and sharper segmentation basis consumer behaviour and usage. Big Data reveals the trends, opportunities, and challenge areas, and more importantly, customer focus and segmentation. The analytics and information through Big Data can help in predicting the consumer needs. Through thisin-depth analytical reporting, businesses can provide better products & services to customers through comprehensive consumer connect forums and product performance analytics. 3. Social /Digital Media Integration: This is one of the key influencers, and social media apps are winning on this game-changing platform. In today’s scenario, brands want to connect directly with the customer, creating compelling messages, and the best method of interaction is through social media. Social platforms are an exciting way to reach a larger audience; for customersthese integrations make shopping easier, more convenient and more social. By analysing the social conversation across platforms, brands can respond in real-time with hyper-relevant content. 4. Personalising and humanizing a brand: One of the greatest customers connect programs' needs no validation and that is - ‘personalised content and humanizing a brand’. For decades, renowned brands have been connecting with audiences through personalized gifts and gratifying shoppers with simple content which has a pivotal role in changing the customer shopping journey. This goes a long way in building strong loyalty. 5. Customer Life Cycle- Mapping and understanding the entire customer journey helps in creating a more engaged experience with the brand. It also ensures nothing slips through the cracks when it comes to managing and serving customers and all individuals and departments are on the same page when it comes to customer needs, customer handoff and internal knowledge transfers, and most importantly, results. Pay on the move: Payment gateways and ease of transactions via personalized devices have changed the industry’s buying behaviour. With initiatives taken by the government to digitize the customer’s payment mode and more new players entering this space, there is plethora of choices for the Indian customer who is always on the move. AR / VR: Technology is changing the customer experience and is going digital. In the near future, customers will likely use AR and VR extensively to explore and interact with potential purchases. Augmented (AR) and virtual reality (VR) are seen by many as the next generation of disruption in the retail world. Virtual reality, along with its sister technology, augmented reality, offers retailers the opportunity to transform how they interact with the consumer.